Paula T. Kaufman, Juanita J. and Robert E. Simpson dean of libraries and university librarian and professor of library administration at the University of Illinois at Urbana-Champaign, is the 2012 ACRL Academic/Research Librarian of the Year. 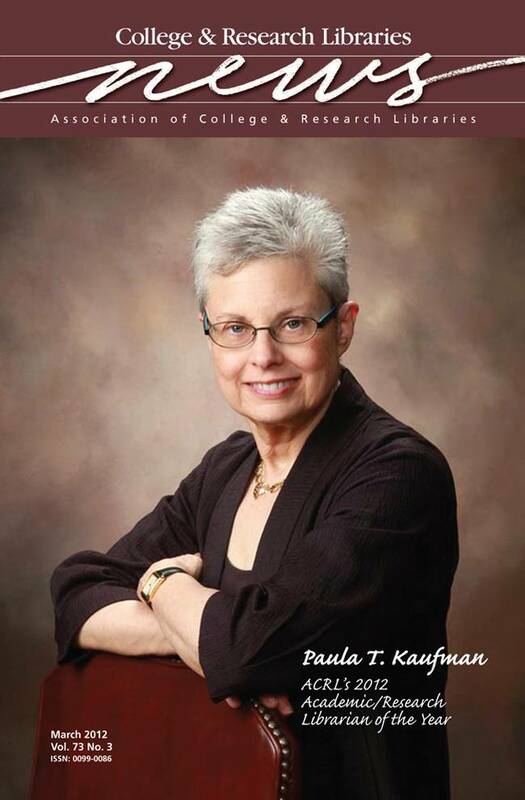 Over the course of her career, Kaufman has made a significant impact on the profession through her extraordinary leadership abilities, vision, and strategic thinking for the future of libraries, along with the generosity with which she shares her inspirations and insights. Her leadership of some of the largest academic research libraries in the United States has positioned her to engage directly with a wide range of issues facing libraries of all sizes and missions. Her positive and energetic approach to problem solving has benefited not only the libraries in which she has worked, but also the larger library community.